Last summer we were delighted to discover a new wine bar on the water (right across the street from Pond Island, no less). 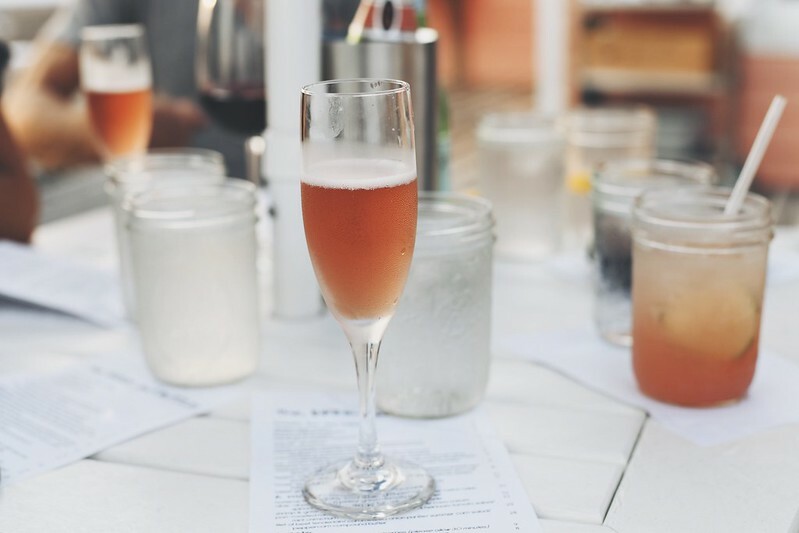 The Brine and Bottle is cozy and refreshing with its sparkling rosé half bottles, black and white tile floors and delicious-beyond-belief cheese plates. My sister is a big fan of the frickles and their fresh tuna sandwich is the ideal post-ocean-swim lunch. Amongst the rest of the cheesy tourist trap restaurants, The Brine and Bottle is the best keep secret in the Outer Banks.